This weekend was the craziest one I can ever remember, really. All three of our kids play soccer and this was a tournament weekend for all of them so we had 11, count ’em, 11 soccer games. We also had two parties for out-going coaches, one play rehearsal, church, and my drummer, Sam, married his best friend, Mandy, this weekend and I played the wedding so we had that and the rehearsal. Yikes. 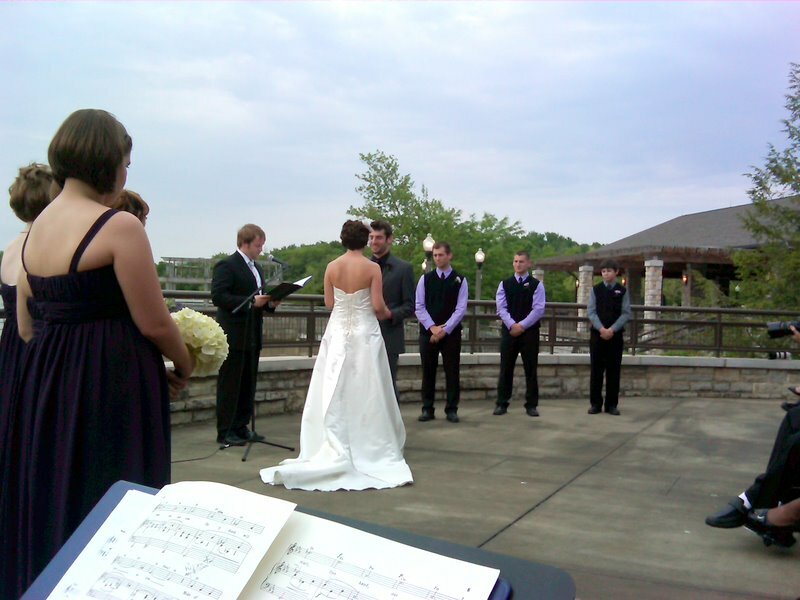 The wedding was gorgeous, though, and Sam is the graphic designer for the zoo, so he and Mandy got married at Water’s Edge, a private pavilion right on the Olentangy River inside the zoo. It was beautiful, and we were actually looking out over the water at the spot where he proposed. Everybody now, awwww!! Somehow they also picked the only two sunny days we’ve seen in Ohio this entire spring, so that was a miracle. 82 degrees, and I had a lovely burn from the soccer fields, but it was still a gorgeous night. Congratulations, Mandy and Sam! This entry was posted on Monday, May 23rd, 2011 at 8:49 pm	and is filed under News. You can follow any responses to this entry through the RSS 2.0 feed. You can leave a response, or trackback from your own site.